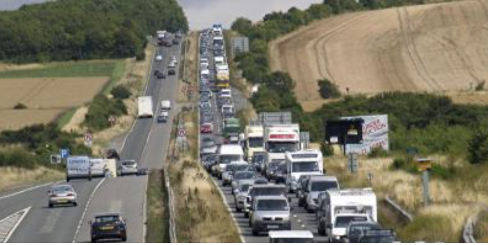 In January 2017, Highways England held a public consultation on options to upgrade the A303 between Amesbury and Berwick Down. Their proposed option was to propose that a tunnel route through the World Heritage Site (WHS) together with a bypass of Winterbourne Stoke either to the north or south of the village would be the best solution for the scheme. 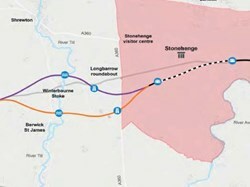 A 1.8 miles (2.9 km) long twin bore tunnel by Stonehenge. A new junction to the west and outside the WHS for traffic on A303/A360 as well as a link to Winterbourne Stoke. 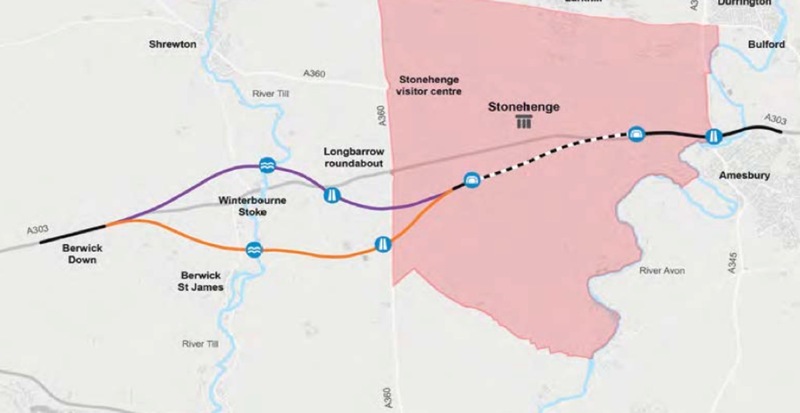 Two bypass options (north and south) for Winterbourne Stoke. A series of public consultations took place where information on the scheme was made available. Highways England asked the public to complete their consultation questionnaire by 5th March 2017. In February 2017, a focussed group of residents from the southern Till Valley volunteered to work together for the preservation of our tranquil community. The name chosen was Campaign for the Preservation of the Southern Till Valley (CPTV). 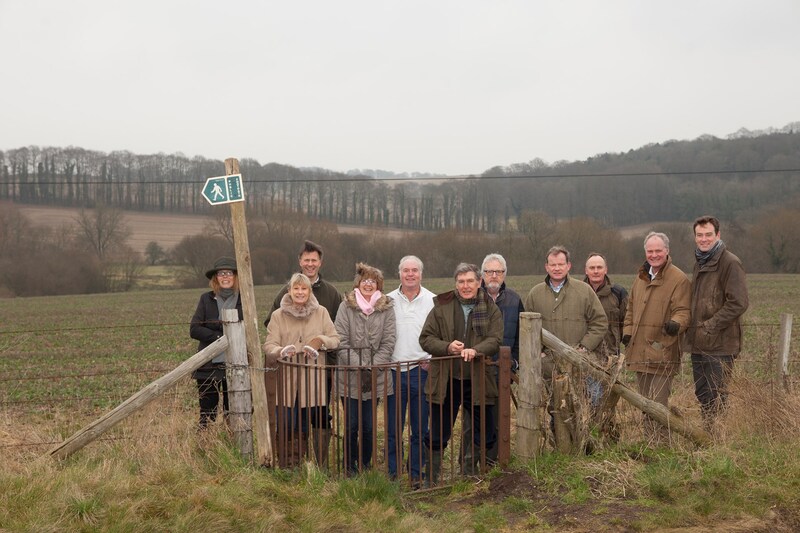 The aim of the group was to ensure that everything that can be done would be done to protect the valley (between Berwick St James and Winterbourne Stoke), which would be hugely affected if the southern bypass were to be chosen. Challenge Highways England on the lack of data provided. Commission professional consultancy companies to provide irrefutable scientific and ecological data. Raise funds to finance the reports needed. Planning and executing a co-ordinated media campaign. Encouraging residents to complete questionnaires. Liaising with other local communities and concerned groups. Addressing our issues with local and central government bodies. 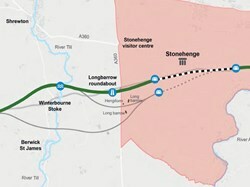 On Tuesday 12 September, the Government announced the route for the £1.6 billion A303 upgrade near Stonehenge. It followed feedback from thousands of individuals and organisations as well as engagement with local communities, heritage groups, archaeologists, historians and engineers. Highways England has modified the plans, including moving the position of the western tunnel portal to avoid conflicting with the solstice alignment. A tunnel at least 1.8 miles long underneath the WHS and closely following the line of the existing A303 avoiding important archaeological sites. A new bypass to the north of Winterbourne Stoke. A360 junction moved further north and west. The group, together with residents in the southern Till valley are pleased that a decision has finally been made and relieved that a northern bypass of Winterbourne Stoke has been chosen. No road scheme was ever going to be perfect, but we believe that what is on the table represents the most logical option. It was always going to be a complex scheme in an area of great historic value and outstanding natural beauty. Our job is far from over. Once full details of the route are made public, our next step will be to look at areas where further mitigation might be appropriate particularly with regard to the northern route. For example, review hydrology concerns arising from the Till viaduct crossing which could impact the southern Till valley; ensure good access to Shrewton and the A303/A360 junction and; maximise landscaping. This is some of my response to Highways-England. If you wish to pick out bits to use, please do so. However, do not copy it word for word; I have put this here for ideas only. The southern route will have a noise impact on a large number of people. I live at the southern end of Berwick and can hear the traffic on the A303 when in my garden now; I fear that it will be a lot worse with the southern route in place. 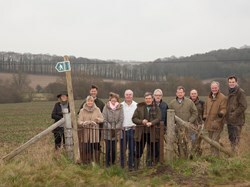 It will have a huge noise & visual impact on all the residents of Berwick & Asserton. The residents of Winterbourne Stoke, most of whom live south of the existing A303, will also suffer from noise, due to the prevailing southwest winds. It will also have a massive visual impact on them, as they will be looking straight into it. All the above also applies to those who live around the camp sight between the two villages as it goes very close to them. The noise & visual impact will only get worse as the amount of traffic will increase over time. The northern route will have much less of a noise and visual impact on far fewer people. There is a grass runway situated to the north of Yarnbury Castle, which is almost in line with the line of the southern route as it comes up in a North Westerly direction from the B3083 to meet the existing A303 at the eastern end of the Wylye bypass (it can be seen on Google maps in Earth view). The runway is used by the MOD for Hercules short take-off and landing exercises during the day & at night. The headlights of the vehicles could temporally blind the pilots or the landing lights of the aircraft could temporally blind the vehicle drivers or both. Whichever way you look at it, there is a very nasty accident waiting to happen. The southern route will act as a barrier between the two villages, which currently is not there. It will cut the two villages off from each other, both of which currently enjoy cultural & social interaction with each other. The benefice magazine is called ‘The Lower Wylye & Till Valley Benefice Magazine and is not distributed in Shrewton. It is distributed to W-S, Berwick etc, W-S being the northern most village. Therefore showing W-S looks south towards Berwick rather than north towards Shrewton. The small community between the two villages (known locally as ‘Over the Hill’) feel connected & closer to Berwick rather than Winterbourne Stoke & the southern route would completely cut them off from Berwick. The campsite at ‘Over the Hill’ brings a lot of much needed trade to Berwick (the pub & shop) during the tourist season; I feel that this much-needed source of income will dry up if the southern route was put in place. There are also many public rights of way forming circuits that are used by local walkers and horse riders from both communities. The southern route would interrupt these rights of way, whereas the northern route only seems to cut through two rights of way. The Druids Lodge estate will have one of their sources of income very badly affected by the southern route. It is a very well known estate for game shooting, particularly for Partridge, having many people from overseas & the UK to shoot game. If the southern route is chosen, it will cut the estate in half and ruin one of the best Game shoots in this country, which will have a financial nock on effect on other local businesses. The airborne pollution from vehicles on the southern route will blow straight into W-S and ‘Over the Hill’ on the prevailing SW winds. Those people with breathing problems will suffer a lot more than they do now. What about babies? It is not good to have them breathing in vehicle pollutants all the time and could then cause a lifetime of breathing difficulties. The airborne pollution will only get worse as the amount of traffic increases over time. The water meadows between the two villages have a large number of springs in them, which supply the River Till with water all year round, so from W-S downstream the Till flows all year, apart from very dry years. Whereas upstream of W-S the Till is a true winterbourne (which does not flow every year, depending on rainfall). Because of this there is a lot more water related wild life downstream of W-S than upstream. Some of this wild life is classified as rare including ‘‘Desmoulins’ whorl snail’’ & The Bullhead, amongst others. The construction of the southern route Viaduct, and associated works, over the Till SSSI/SAC (vehicle movements, pile driving, earthworks etc.) will have a detrimental effect on all the water related wild life, which could continue for a long time into the future. There is also the risk of polluting the river, during construction, which is well known for its cleanliness and purity of water. The construction of the northern route Viaduct will have much less of an effect on water related wild life as there is not going to be very much if any at all. If the northern Viaduct is constructed when the river is not flowing or dry, then any pollution risk is minimised as it can be cleared up before it is washed downstream and damages the delicate eco-system of the river. On the southern route there will be quite a few mature trees cut down just to accommodate the road, never mind the extra ones for the junction on the A360 & probably others to make the work easier, and access for work vehicles etc. This will have a devastating effect on the wild life in the Lower Till Valley, Barn Owls, Bats, Red Kites, amongst many others. On the northern route far fewer trees will need to be destroyed, therefore the effect on the wild life living in, on, under and around these trees will be far less on the northern route than the southern route. The concrete foundations of the Viaduct on the southern route will affect the springs in the water meadows, which could be detrimental to the water flow from those springs with unforeseen consequences. This will not be the case for the northern Viaduct as there are no springs to affect. As you may have gathered I have gone for the NORTH route. I see in the Technical Appraisal Report that there is mention of de-watering an underground aquifer. As a farmer in the area, this concerns me greatly as I draw water via a borehole, probably from the same aquifer, for the entire farm. We have no mains water supply at all. I am probably not the only person in this situation. There are going to be many unforeseen consequences to water supplies because of this. How much water will be pumped out and for how long? Ware will that water be pumped too? Will the aquifer ever fully recover? What problems, both short & long, term will there be for people taking water from the aquifer? How will this affect, short & long term, the rivers Avon & Till. There are many unanswered questions that need answering before this should even be considered never mind given the go-ahead. It seems to me that the height of the embankments is an estimate and not an actual. To me this is not good enough as some people will find it difficult to agree to one route or the other with estimated figures. To me this is very woolly thinking, people want facts not estimates & so far all we have had are estimates which may be way out. Apart from the junctions there should be no lighting, accept cats eyes, along the proposed route to minimise the impact of light pollution. It seems to me this whole consultation is giving preferential treatment to the dead. I have no objection to leaving a legacy to the dead, but we should also be thinking of the living and be leaving a long lasting legacy for them. Not just for those of us who are hear now but for future generations to come. We only have one chance to get this right, once it is done there is no going back. Berwick Project Group meeting on Sunday. Update to village next week. I would urge everyone to look at this site http://winterbournestokepc.org.uk/topic/a303-public-consultation/ as it gives us a good idea of what Winterbourne stoke residents are thinking, I suggest it is referred to frequently as it is being added to quite often. I would refer you to paragraph seven of Olivia Dutton’s comments and to JMD’s comments, the latter being very apt. Some of you, like me, may have wrestled a bit with visualising the details of the southern route and thus how to portray it to others. Attached, some slides that may help; they are in PDF format (for security). I am trying to get them onto the village website but it appears to be a technical step too far for either it or me! A bit of background, a new dual carriageway is about 19 m wide and has to be supported by a berm and a reinforcing slope that further expand the road’s girth and footprint. This can considerably heighten the road and its silhouette which in our case will make it even more visible - in particular where it goes from being a road to a viaduct to cross the Till and water meadows. I went into the field next to the village yesterday afternoon - the one that will be bisected by the road - and placed poles at the appropriate distances in the middle of the field in order to show the proposed road footprint, the photos should speak for themselves. I am attempting to meet the Environment Agency to discuss.